If your looking for some 1920’s wedding inspiration on Valentine’s Day then this is the photo shoot for you! This is a beautiful early 20th Century styled shoot designed by Forevermore Events. The shoot is meant to invoke ones imagination of jumping on a steam liner to travel across the Atlantic, or a high class train across the open planes from New York to San Francisco. We hope you enjoy all the little details of this fantastic shoot. Have an amazing Valentine’s Day with lots of love, hugs and kisses! On Thursdays we love to post five ETSY wedding items that we just love. ETSY wedding is a great place to find handmade items for your upcoming wedding. Check back to see what we find and what ETSY wedding items we recommend. How cute is this? What a great gift to give your bridesmaids or even your mom. This is perfect for the person who always has their Ipad in their hand. 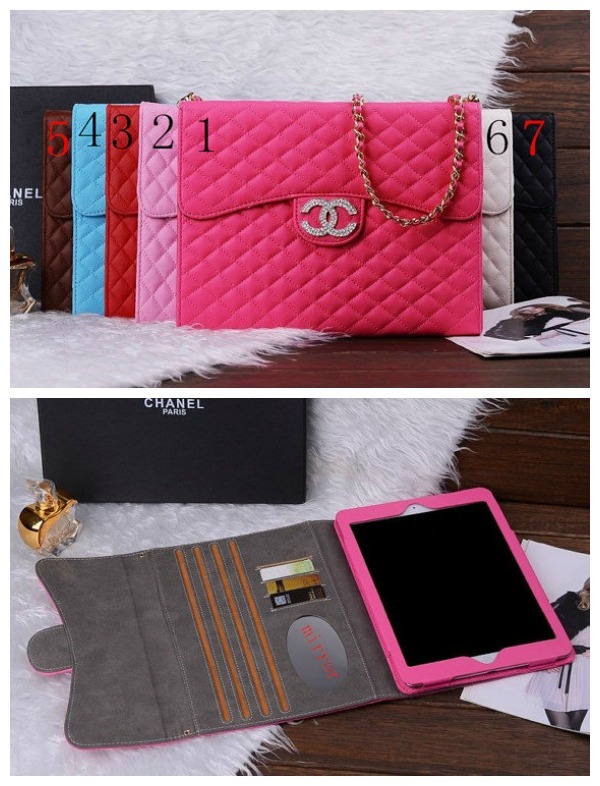 A case and a purse, so awesome! Only $35.99. CLICK HERE. Perfect for Valentine’s Day, these adorable red hearts can be added to a dessert bar, ceremony piece and so much more. 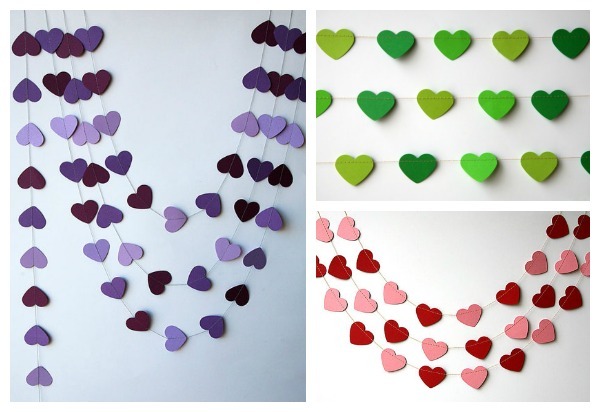 Add some love to your wedding for $13 for 13ft. They come in lots of different colors too. CLICK HERE. 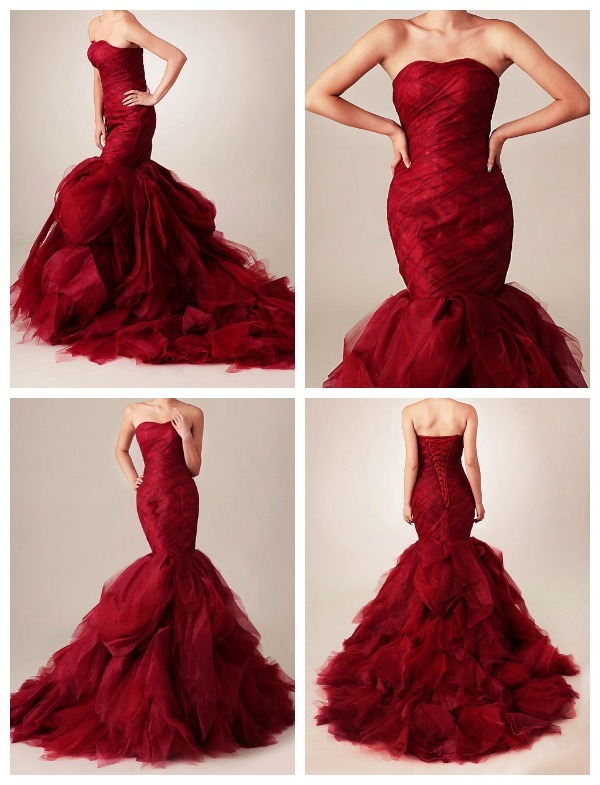 Who knew you could find such a gorgeous dress like this on ETSY! This dress caught our eye and had us saying OMG! With the hour glass figure, lace up back, tulle bottom and vibrant color this could be a unique wedding dress. Did we mention budget friendly for $869 and it comes custom made for you. CLICK HERE. 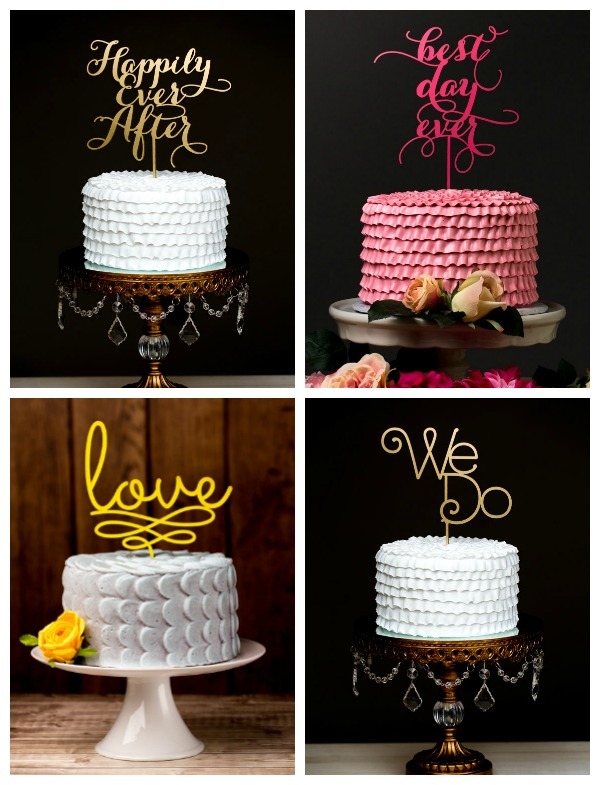 We just thought these cake toppers were adorable. You can order different colors to match your wedding. The best part, they only cost $35. CLICK HERE. Looking for some fun bridal shoes? This ETSY store offers some blinged out bridal shoes in all kinds of colors. These shoes will cost $205. CLICK HERE. Happy Shopping!! Don’t forget tomorrow’s Valentines Day! 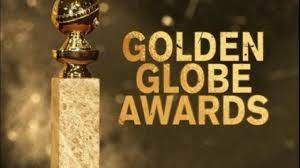 We just love, love, love award show season! 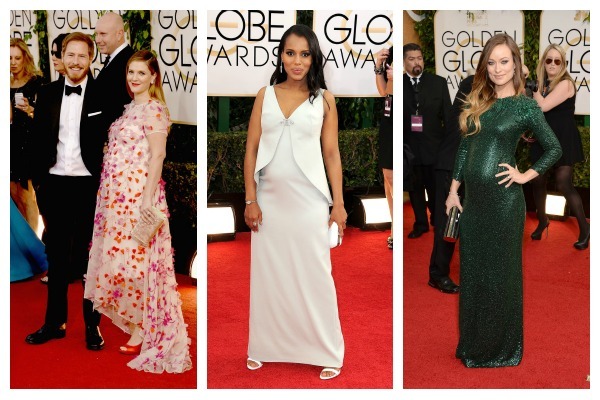 Color trends, hair styles, makeup choices, wedding gown styles and so much more are inspired by the red carpet! 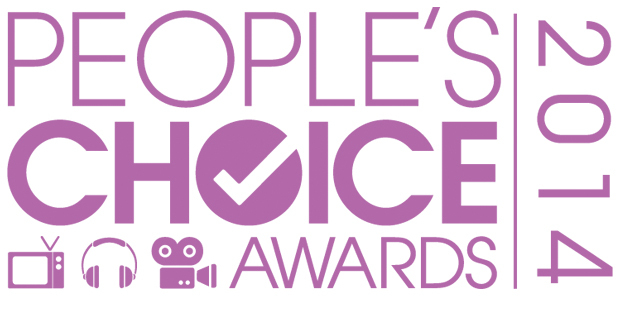 The People’s Choice Awards 2014 aired tonight on CBS and here is what we found walking the red carpet! Most improved! These two have defiantly come a long long way in fashion. 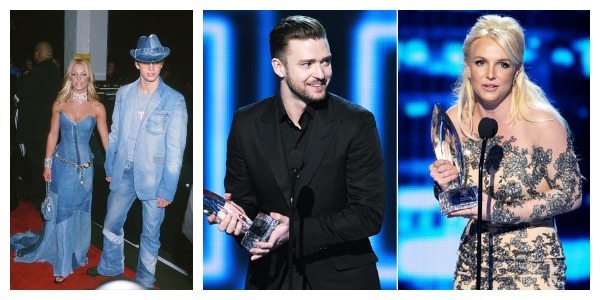 Denim hat Justin, really?? 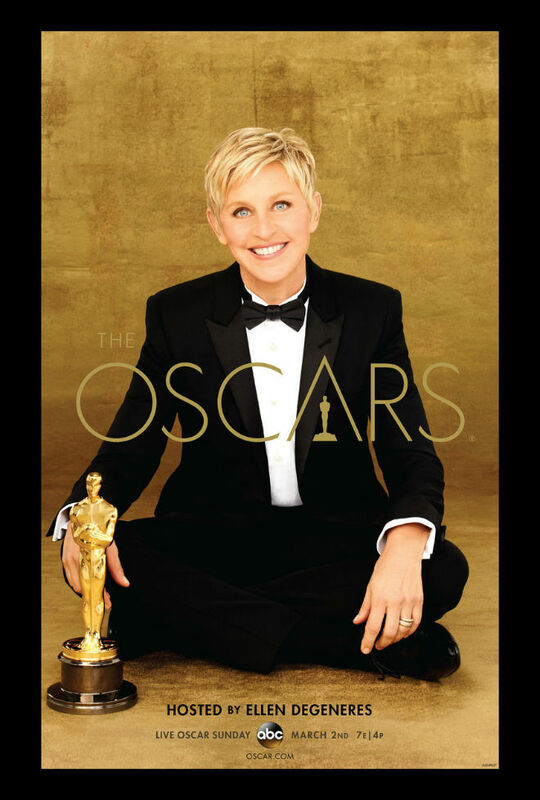 I hate to give it to her because she is america’s sweetheart but Sandra what where you thinking? 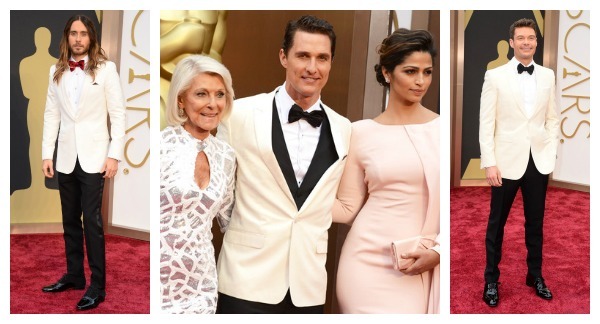 I have to give the worst dressed to you. 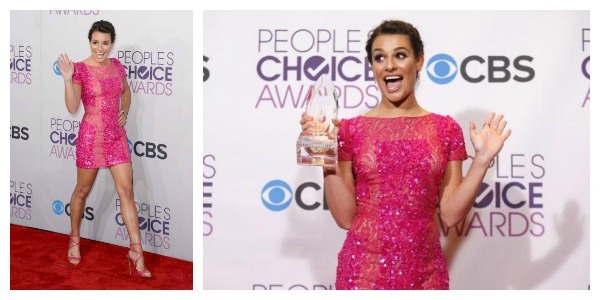 Best Dressed goes to Lea Michele in this mini sequins hot pink dress. Stunning! 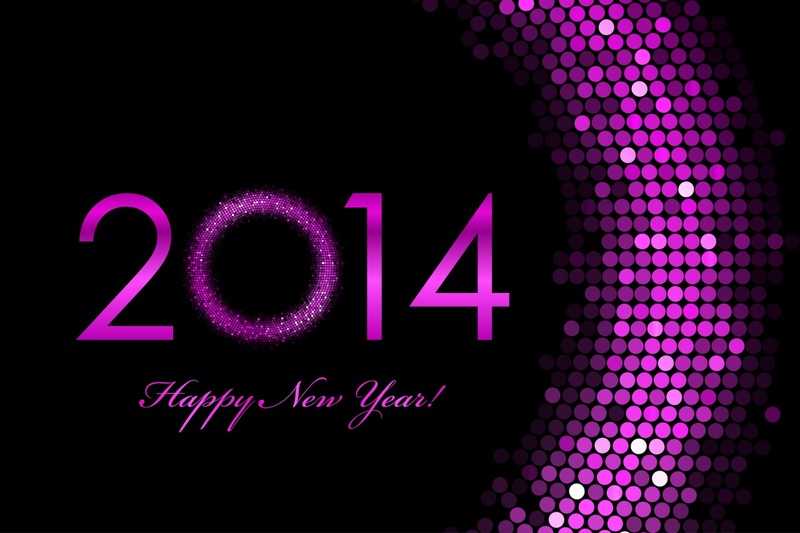 We know New Years Eve is a very popular day for proposals. If you got engaged last night congratulations! Let’s start the planning! 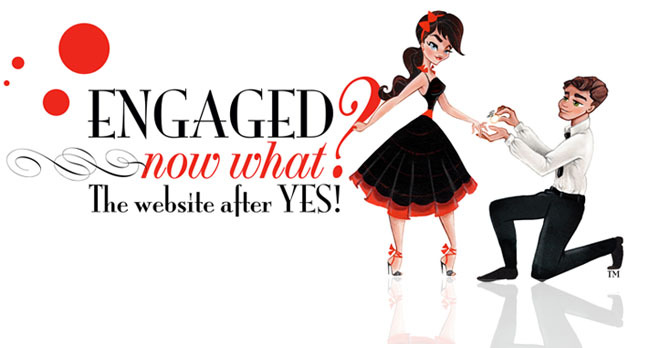 Engaged Now What? 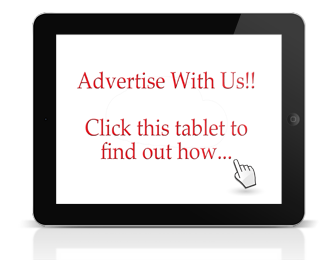 is a great resource tool for you to find the perfect wedding venue and amazing wedding vendors. Did you know you can sign up to have your own wedding binder? You can then save all of your favorite venues and vendors to your own wedding binder while browsing our website. It’s an easier way to keep organized and save your favorites to one spot. 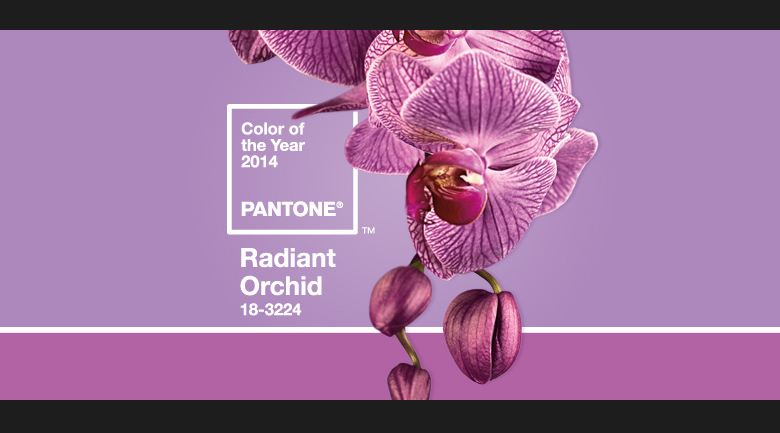 Did you know the color of the year for 2014 is Radiant Orchid? This is going to be a gorgeous wedding color! We are loving this unique and creative farm engagement shoot captured by Ian Andrew Photography. From the horse to the tractor to supporting the American flag this shoot has it all. And of course if you have the talent to cut the top off of a champagne bottle with a sword then why wouldn’t you include that in your shoot as well! We hope this helps you with some ideas for your own engagement shoot. 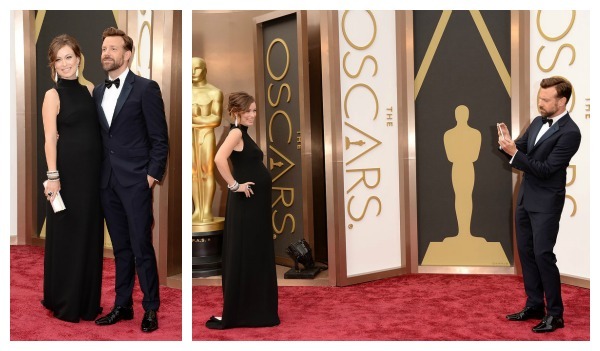 I love how the shoot starts out in casual clothes and as the night gets later the suit and dress come on. So many options. 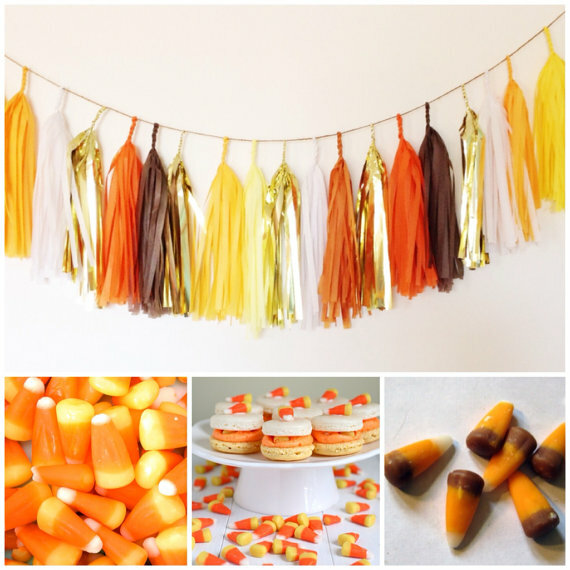 Since it’s the first Thursday of fall and our favorite month being October we thought we would do this week with a fall ETSY theme. 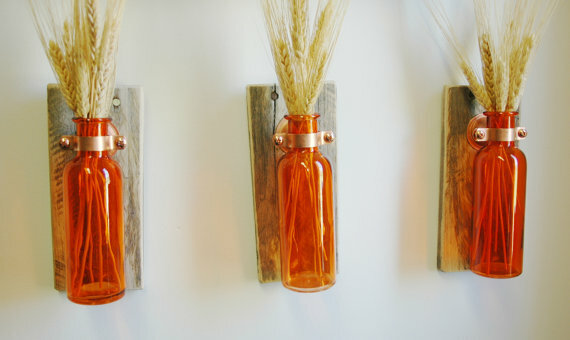 These cute glass vases mounted to recycled wood could be adorable in anyone’s home. They could a nice gift for your parents or even the bridemaids. $39.00 for a set of three. CLICK HERE. 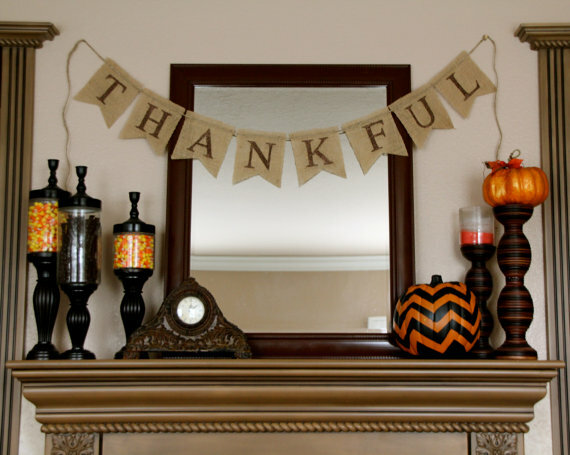 It’s all about being thankful and this adorable banner would be perfect for any wedding or home. $28.00 CLICK HERE. #3 Succulents and Pumpkins oh my! 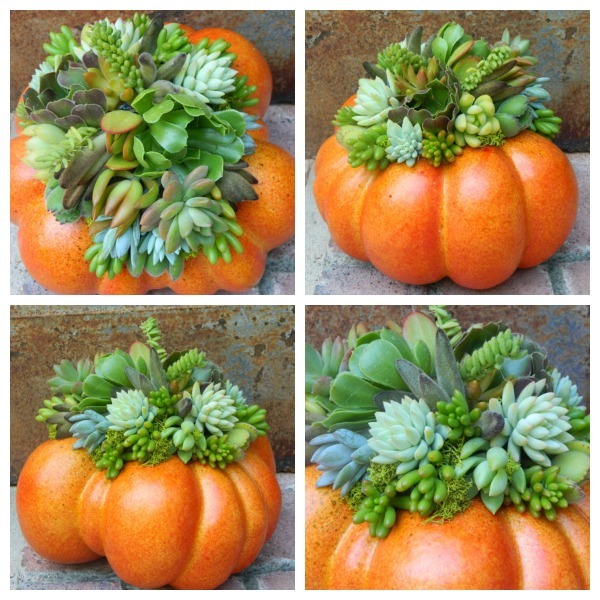 How cute is this fall centerpiece mixing a pumpkin with succulents. 10″ wide by 7″ tall. These centerpiece can be ordered for $32.00 each. CLICK HERE. 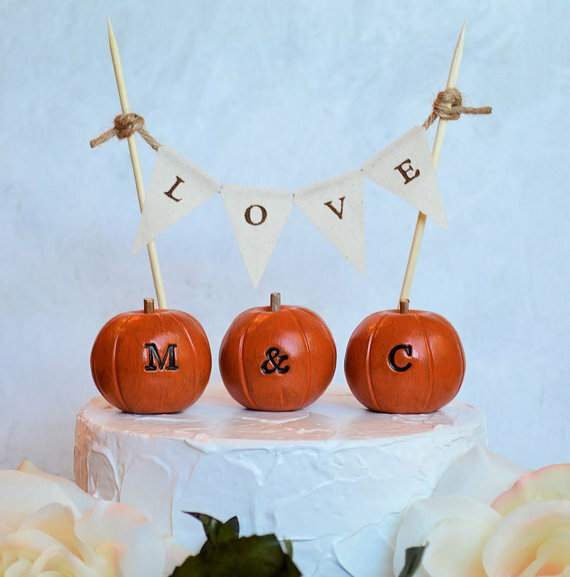 How adorable is this precious cake topper? $47 and it’s yours. CLICK HERE. We are excited to share this gorgeous Moroccan wedding inspiration shoot with you. We love the bright colors, lush flowers and beautiful hair and makeup. Here’s what Thorne Artistry had to say about the shoot. Sandra Nicole Designs provided the jewelry and help with the staging for this fabulous shoot. Here’s what she had to say about it.